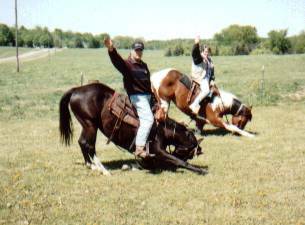 Students who taught their horses to take a bow & play dead. 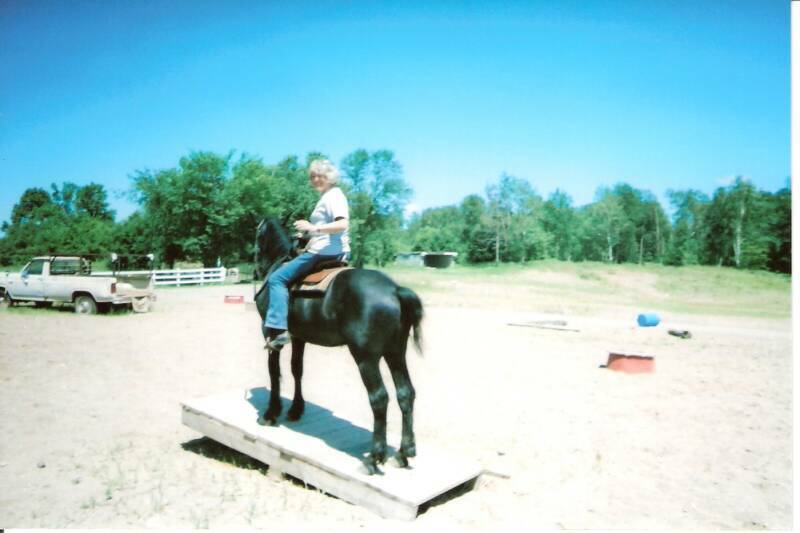 A student and her horse stopped on a horse-sized teeter-totter. 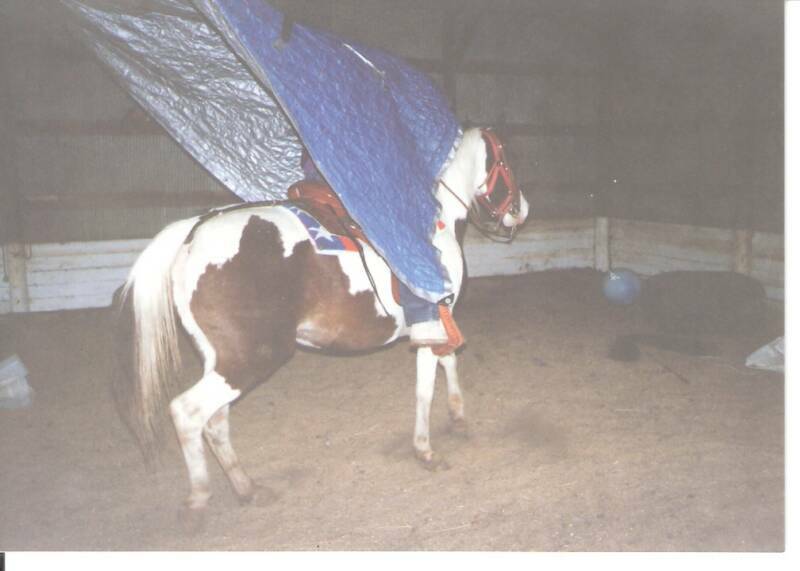 Here is a student calmly riding her horse through a hanging tarp. 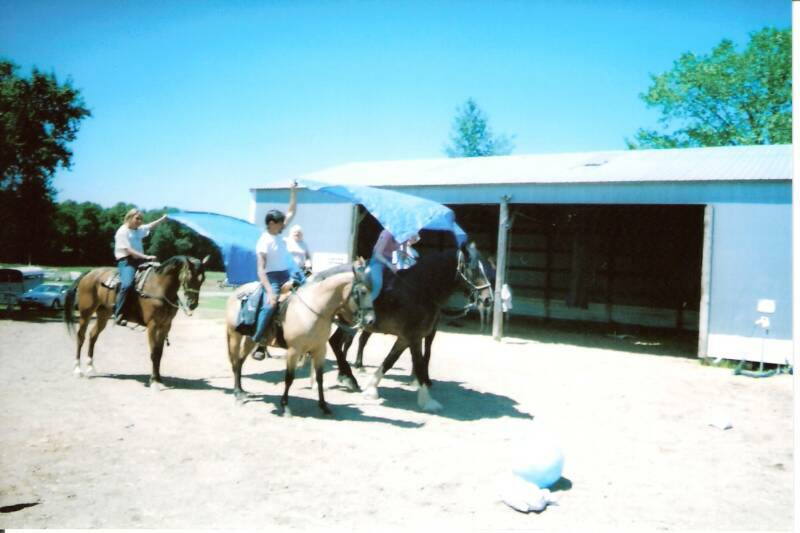 Students riding horses while tarps carrying and going under tarps. 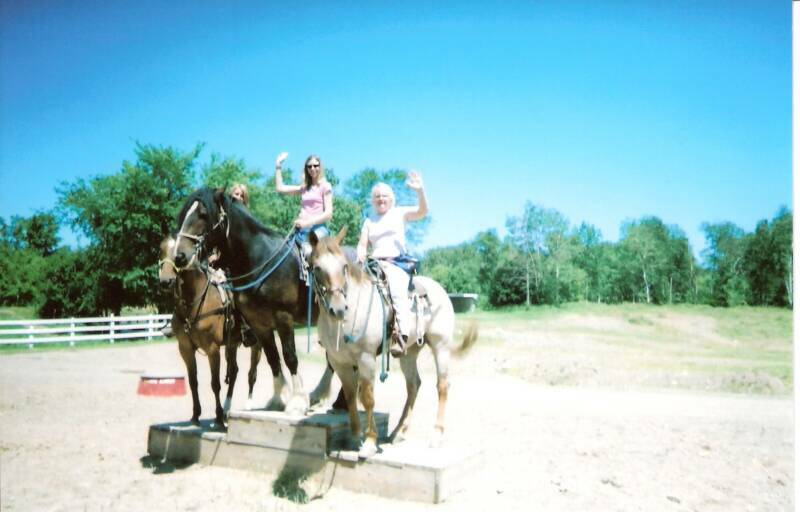 Horses standing like statues on a bridge. 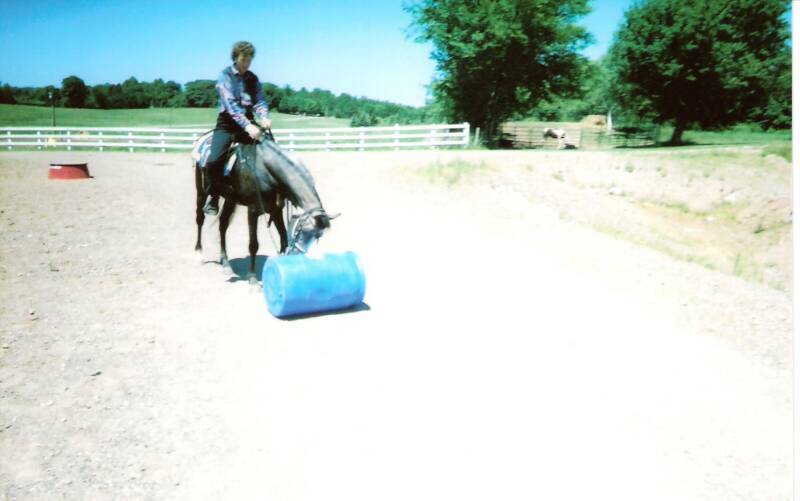 roll a barrel with his nose. 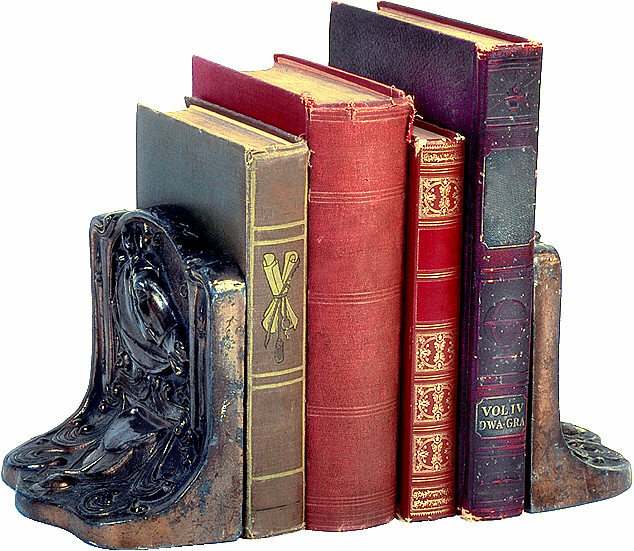 and stand on a pedestal. 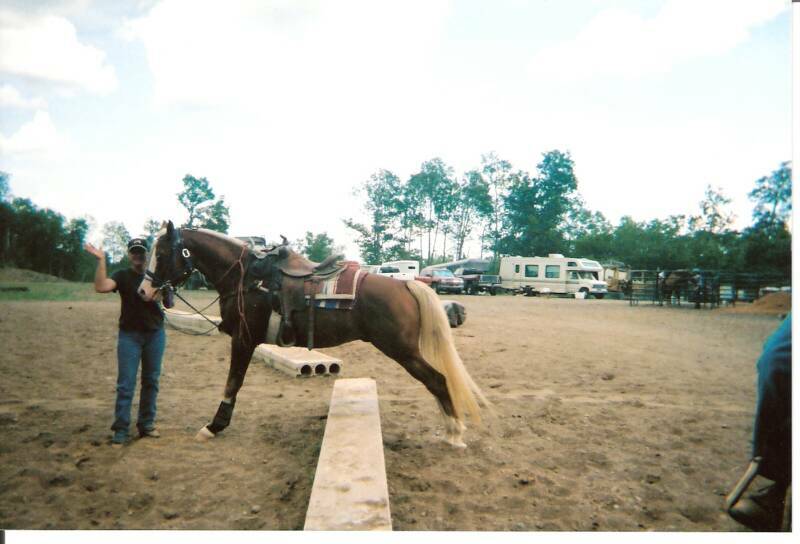 making it easier to get into the saddle. 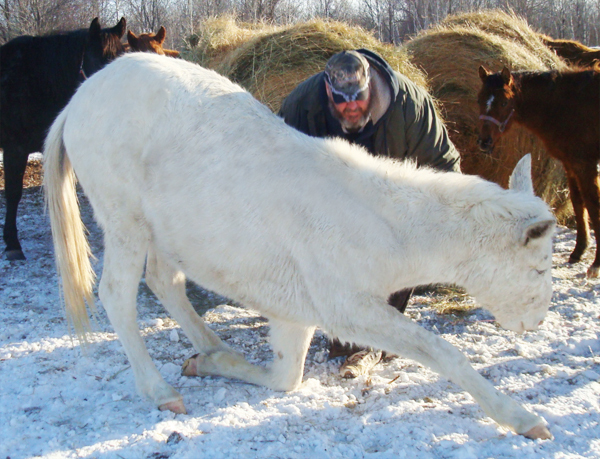 Students here are desensitizing their horses to a four-wheeler. 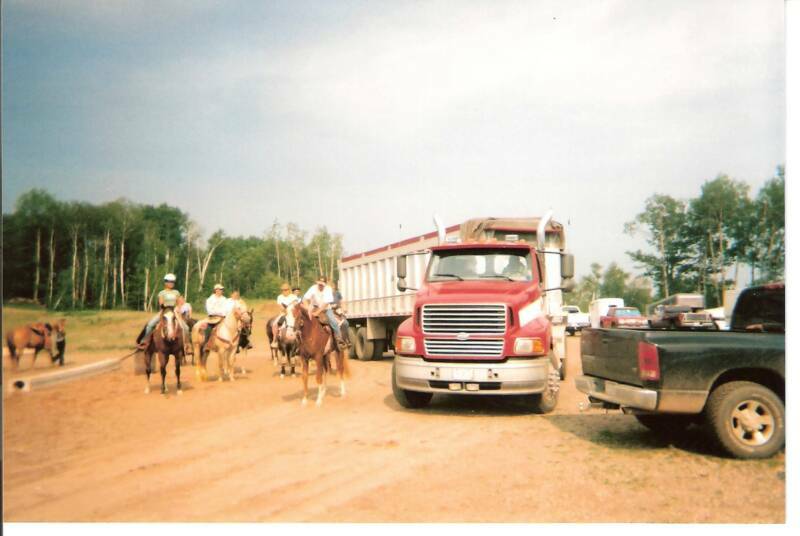 Students desensitizing their horses to the smells and sounds of a semi. 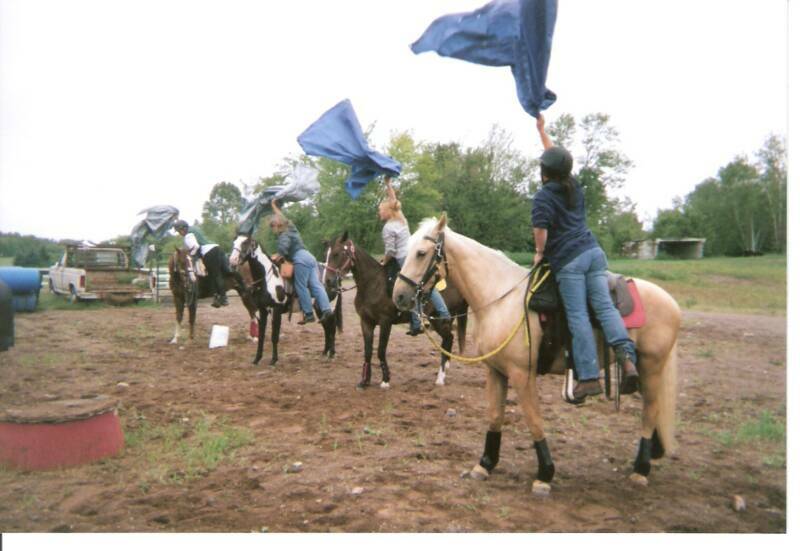 Here are students that have completely desensitized their horses to a tarp. 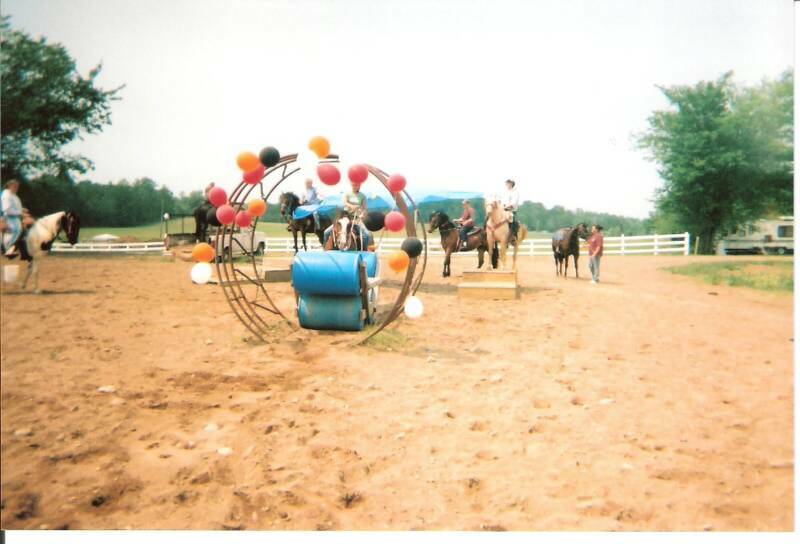 and the hay ring, while pushing several barrels. 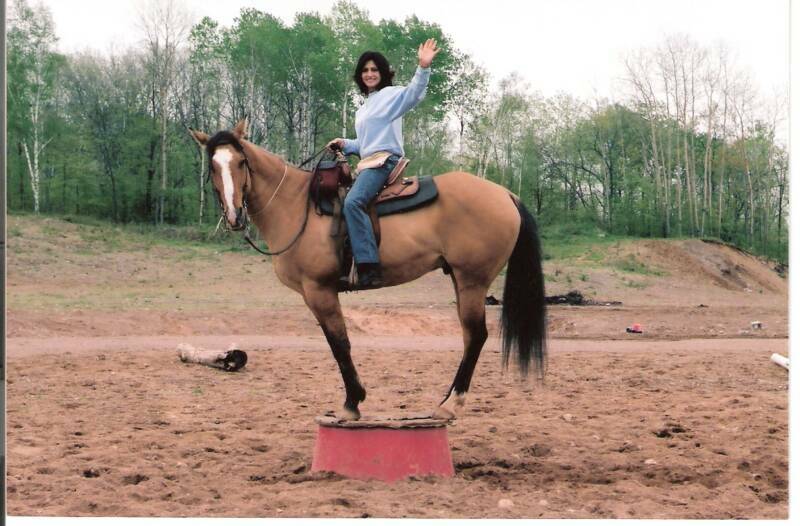 A student who has learned how to swing up onto her horse and have her horse stand still for it. 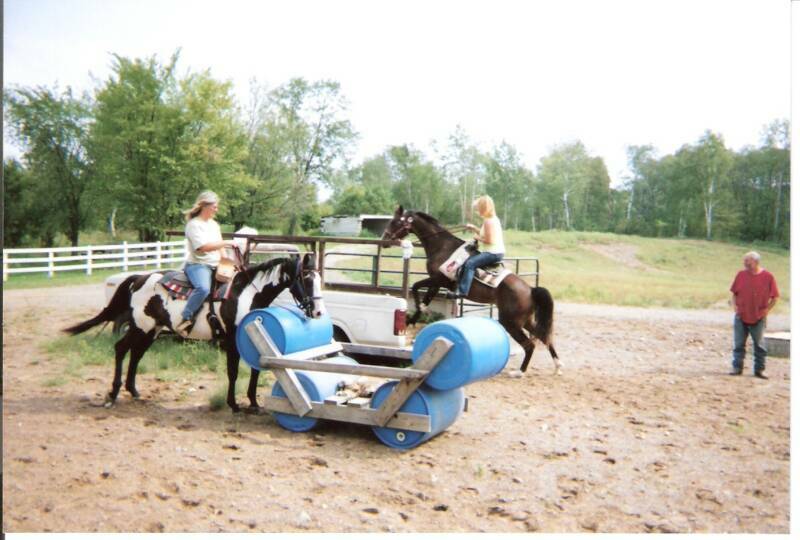 Students learning how to teach their horses to push several barrels and how to jump into a pickup truck. 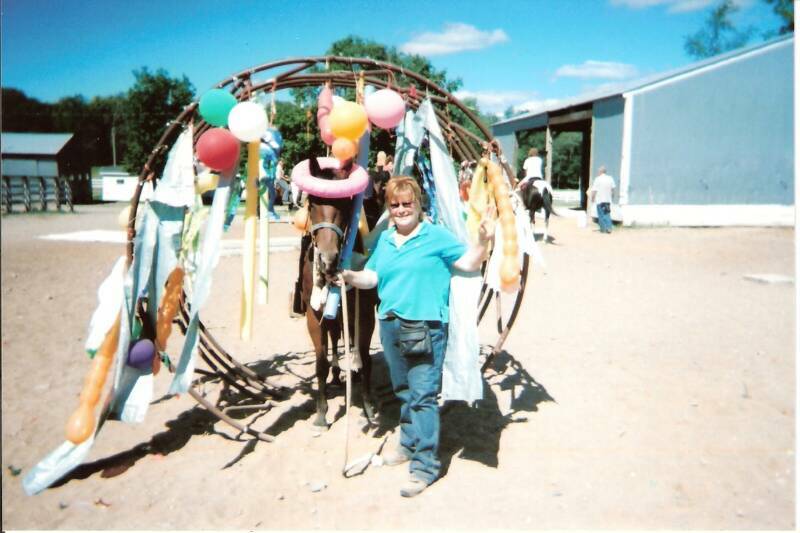 A student who has desensitized her horse to oodles and oodles of balloons. 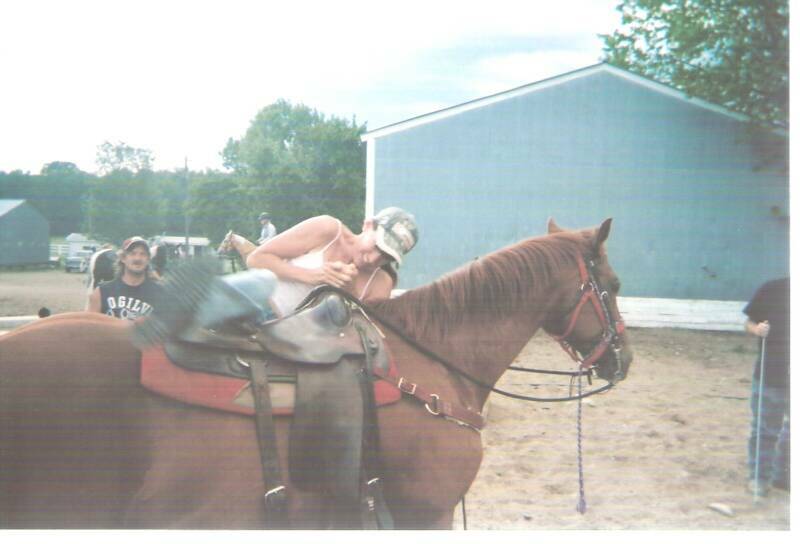 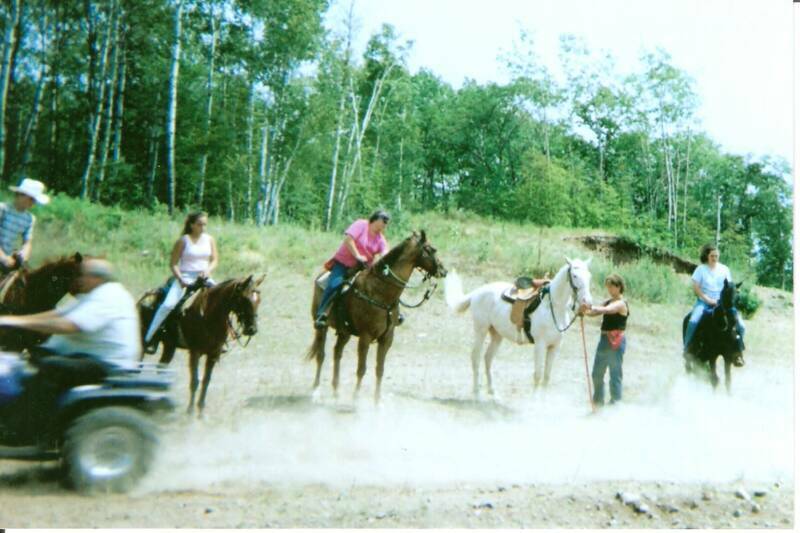 learn how to train your horse & become a horse trainer today!